Mondo will release the first poster of Nickelodeon week today. 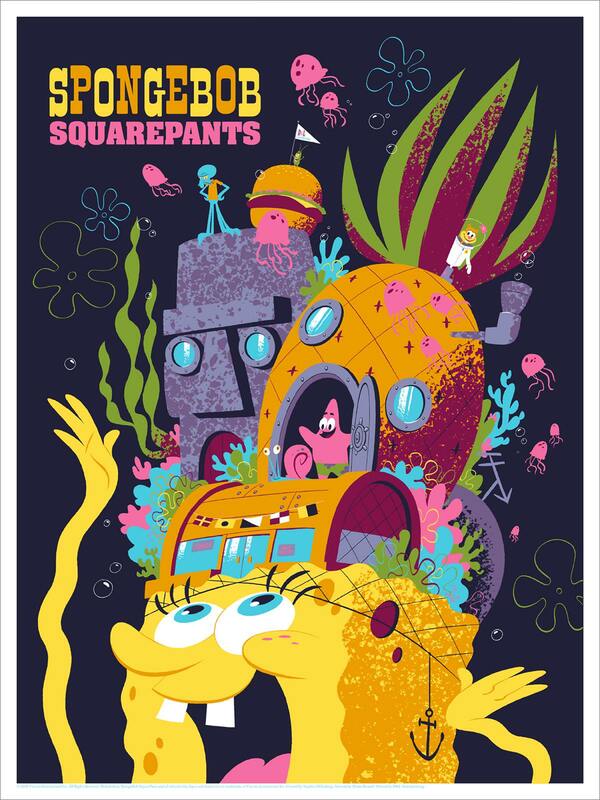 Drake Brodahl’s SpongeBob SquarePants is an 18″ x 24″ screenprint, has an edition of 175, and will cost $45. It goes up today (Tuesday, February 27th) at a random time. Visit Mondotees.com.